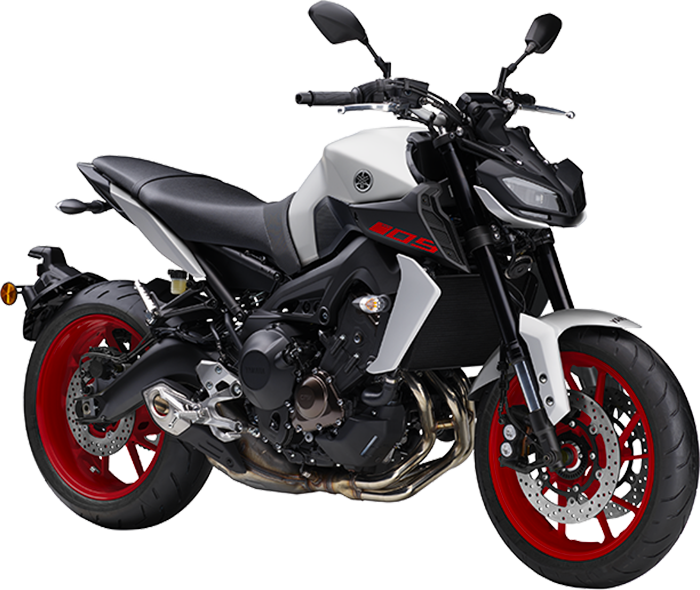 First impressions are everything and with its intimidating LED twin-eye face, the aggressively styled MT-09 demands attention. The front winglets and radiator side fins give an ultra-sharp look - and to reinforce the bike's uncompromising style designed a shorter tail. 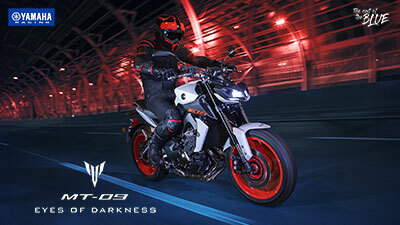 With its radical looks, refined bodywork and higher specification, fully adjustable front forks as well as a Quick Shift System(QSS) and an Assist and Slipper(A&S) clutch mean that you can run harder and faster and its D-Mode adjustable performance and switchable Traction control system(TCS) give you the ability to take this 3-cylinder Hyper Naked to another level. 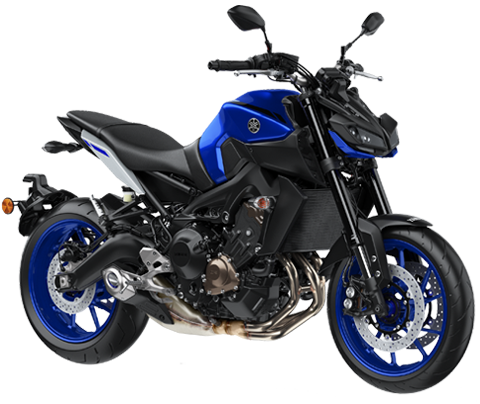 Once you've experienced the MT-09's 'CP3', 847cc, 3-cylinder crossplane engine you'll be hooked on its instant supply of raw and linear torque that makes it the most exciting bike in the category. 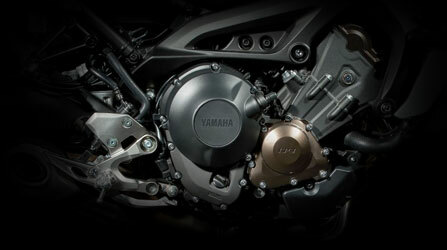 The engine comes with a refined and improved power character. 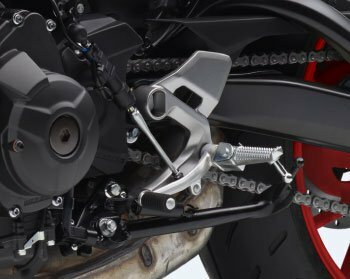 The YZF-R1 type Quick Shift System (QSS) gives smoother and quicker upshifts and enables you to make best use of the MT-09's raw and linear torque. 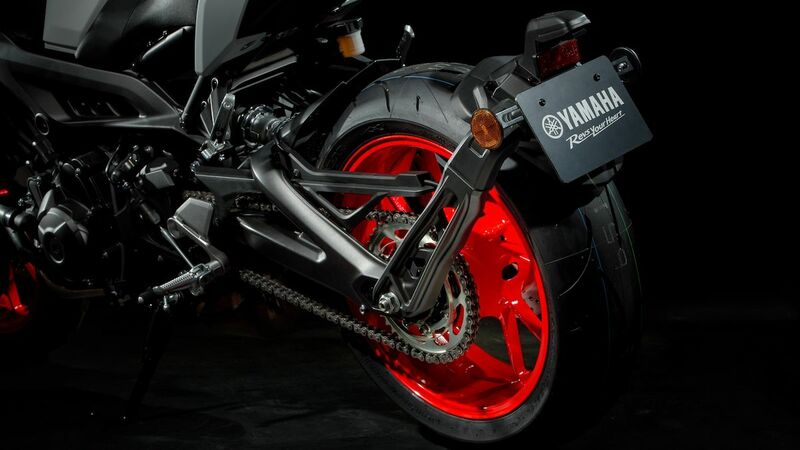 This dynamic Hyper Naked is also fitted with an A&S clutch that give improved chassis stability when you're downshifting rapidly before entering a bend. 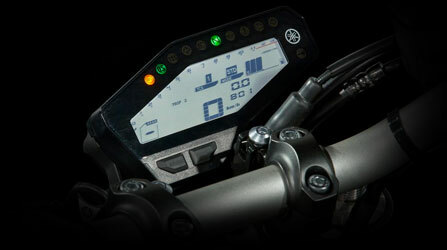 The MT-09's advanced electronic control technology is ready to adapt to different riding situations and varying road surfaces. The 3-position D-Mode function lets you adjust engine power character from mild to aggressive, while the Traction Control System (TCS) and ABS intervene when required to enable you to achieve high levels of control. 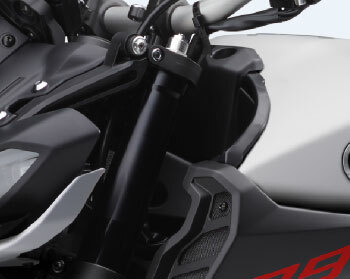 The rear end of the MT-09 has a fresh look thanks to the use of a swingarm-mounted licence plate holder featuring a lightweight single-sided aluminium stay. 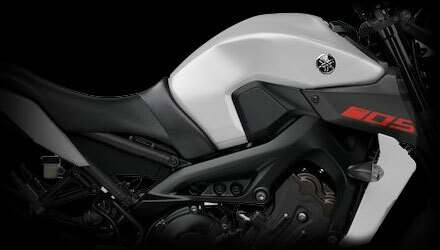 To complete the rear end there's an LCD rear light and tail cowl that emphasise the bike's light and agile looks. 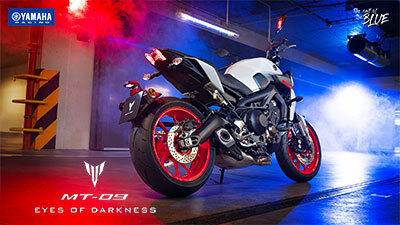 The MT-09 features an aggressively styled twin-eye headlight assembly that gives this best-selling Hyper Naked a more menacing look. 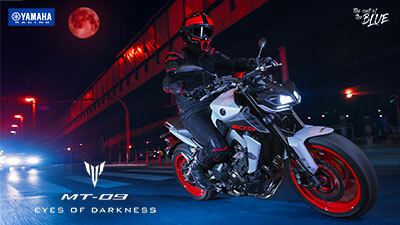 Inspired by the flagship MT-10, the slanting dual headlights are equipped with four LED bulbs, accompanied by dual LED position lights. 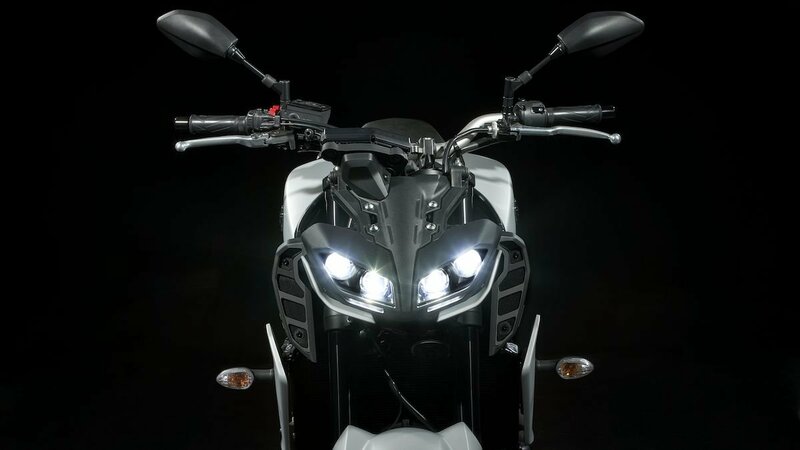 The bike's 41mm inverted front forks get a significant upgrade with the addition of a compression damping function, giving the MT-09 even greater sporting potential. For improved suspension performance and a wider range of adjustability the functions are separated, with compression damping in the right fork leg, and rebound damping in the left leg. 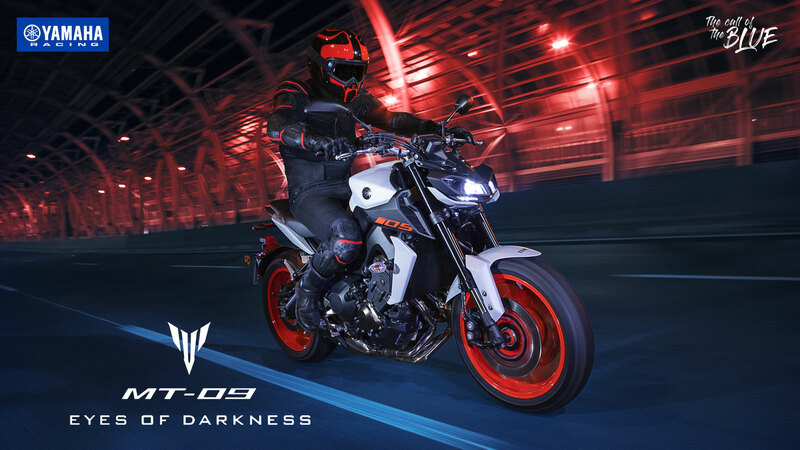 As well as its bold and futuristic LED twin-eye face, the latest MT-09 features a range of stylistic changes that sharpen up its looks to make it an even more desirable Hyper Naked. The lightweight radiator side fins together with larger tank-mounted air scoops and headlight winglets give a clean and dynamic look.